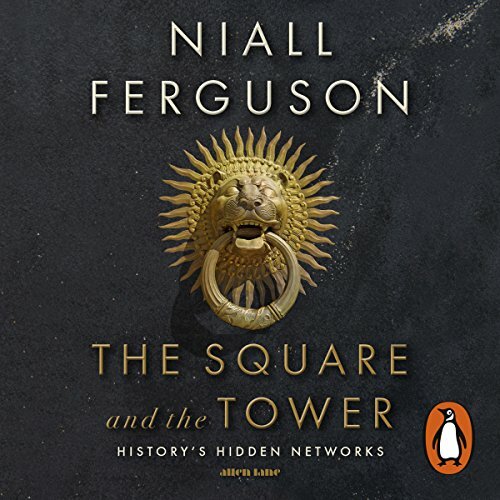 Penguin presents the audiobook edition of The Square and the Tower by Niall Ferguson. What if everything we thought we knew about history was wrong? 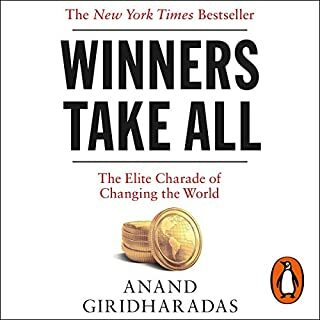 From the global best-selling author of Empire, The Ascent of Money and Civilization, this is a whole new way of looking at the world. The 21st century has been hailed as the Networked Age. 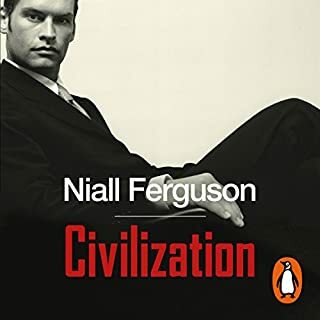 But in The Square and the Tower, Niall Ferguson argues that social networks are nothing new. From the printers and preachers who made the Reformation to the freemasons who led the American Revolution, it was the networkers who disrupted the old order of popes and kings. Far from being novel, our era is the Second Networked Age, with the computer in the role of the printing press. 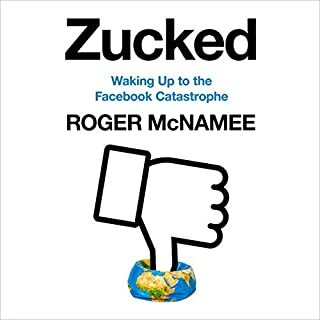 Those looking forward to a utopia of interconnected 'netizens' may therefore be disappointed. For networks are prone to clustering, contagions and even outages. And the conflicts of the past already have unnerving parallels today, in the time of Facebook, Islamic State and Trumpworld. 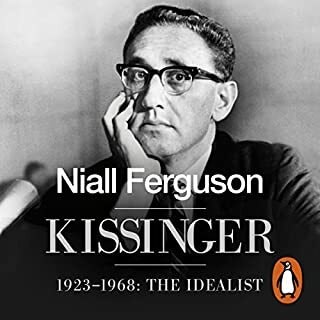 ©2017 Niall Ferguson (P)2017 Penguin Books Ltd.
I’m not sure where the mania came from among Audible readers for performing every quote in the supposed accent of its author, but it should stop. Even among gifted voice actors it serves little purpose other than to impress you with the reader’s mimicry, and is mainly just distracting. In the case of John Sackville, the accents range from passable (Scottish) to terrible (New Zealand), and it detracts from the experience. It’s a history book not a radio play. It’s a pity because Sackville has a pleasant reading voice and nothing extra needs to be added. 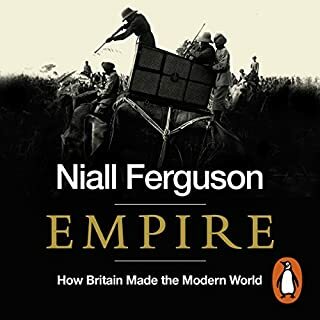 That gripe over, the book is an interesting take on various significant historical epochs and events, examining them as it does through the lens of the “network”. 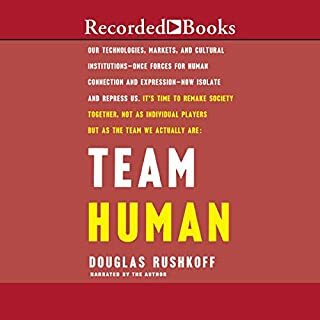 This does sometimes provide novel insights, though at other times the role of the network seems rather tenuous, with the result that the book can seem a little unfocused. I've struggled through the better part of an hour through this book, but I've already decided to take up Audible on their refund policy. They should have had the copywriter who wrote the blurb for this book actually rewrite the book itself. I was excited after reading the blurb, and wanted to get into a bit more history ... but this was a terrible place to start. 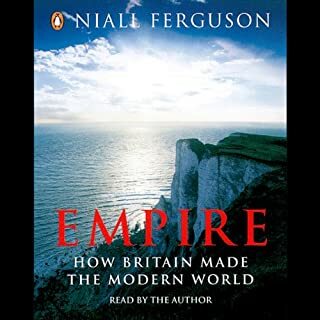 The book reads more like an academic treatise than a book for reading pleasure, which is great if you're a professor I guess, but for the lay-reader of history such as I, it was not a fun experience. Too much effort has been put into details that don't seem to matter, and adding two or three quotes or facts on a topic where one would have sufficed. And so far, I haven't had any hints that anything more interesting is coming. But the most irritating thing about this book for me was not the book itself, but the intolerable narration. 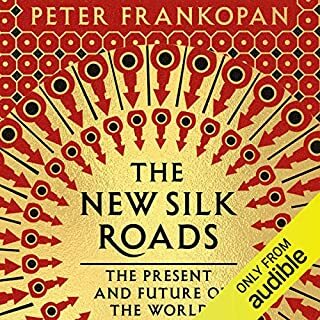 The narrator has taken it upon himself to try and impersonate the accent of every person or entity quoted in the book, and it's ridiculously irritating. He switches from his native British accent to Scottish, German, French and American — sometimes multiple times within a sentence. He even uses an American accent when quoting a line from the Harvard Business Review, for goodness' sake. I mean, come on — is that really necessary? 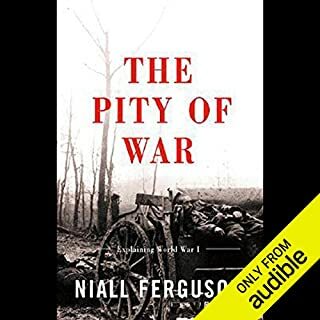 It makes for an extremely unpleasant listening experience, and seems like he's more interested in showing off how good at accents he is (and hat off to him, his accents are pretty good) than actually making the book nice to listen to. Sadly I cannot review anything beyond the first hour because I've already wasted enough time on this book, and I disliked it so much as to come and write this review so hopefully nobody else wastes an hour if the things above would turn them off too. Annoying accents by narrator. Word 'network' said 56,293 times. Six words remaining to review this? The content is as you would expect from Ferguson awesome. Anyhow the often mispronounced words make me wonder if the narrator really did his research? For example he calls Ben Bernanke „Ben Bernank“. Very distracting from the content. Pity. 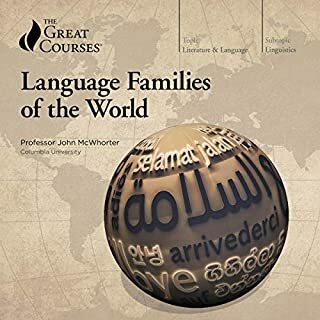 The language in this book makes me feel that this is an academic who is showing off with complex language and terms rather a book for everyone to enjoy. Gave up reading after a few hours. 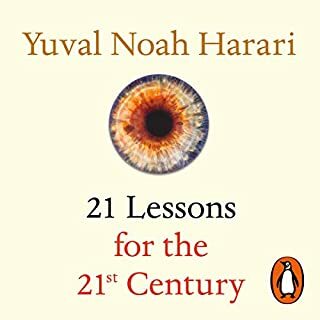 Niall should read Yuval Noah Harari to learn how an academic can convert his writing into simple language for us average individuals to enjoy. Conflict between central power and diffuse networks as old as time and when balance of power shifts conflict follows. 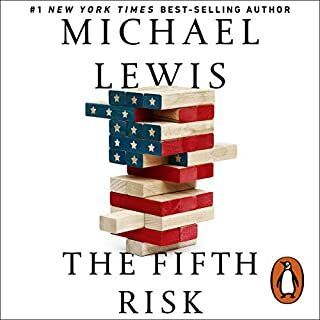 Frightening when we consider American chaos as world allegiances realign and non rational actors hold power. Having now read it, I realise that it would probably have taken an altogether different author. 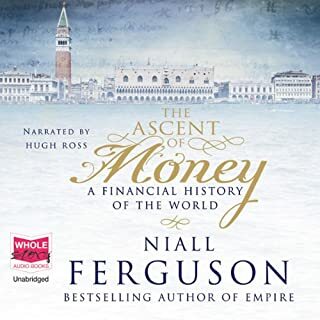 What was most disappointing about Niall Ferguson’s story? Lack of critical consideration of his own methodology and ideology. Did John Sackville do a good job differentiating each of the characters? How? The narrator did a good job, though I tend to find mock-accents quite distracting and unnecessary. If you could play editor, what scene or scenes would you have cut from The Square and the Tower? The entire final third of the book. The idea of the network as a key driving feature of history is both genuinely interesting and fundamentally enlightening. It is sad, then, that the author fails both to take his own lessons to heart and to critically consider the methodology of his analysis. The most glaring example of this is the fact that the author manages to simultaneously acknowledge that the hierarchy is a type of network, and only and always consider the two concepts as in conflict. This is an absurdity that utterly undermines a great deal of his narrative. Perhaps more crucial to the book’s (and its arguments’) failure is the author’s failure to understand the limitations of network graph analysis, and in turn why it is so crucial to view the network as but a component of a complex system. To point out one obvious shortcoming of graph analysis: It views all edges as pseudo-homogenous, all equal or variable by only a single variable (edge weight). In reality, few edges are created equal, and most are multivariant. For example, a connection between two nodes can have different ‘frictions’ (resistance to information transmission), bandwidth, length, latency, and filtering conditions (information type A might get through, type B might be filtered out altogether). Taking count of these moves your analysis from the simple (and deliberately simplistic) world of graph analysis into the world of complex systems analysis. Had he taken that step and followed through with it, he might have eventually realised (among other crucial insights) that networks naturally tend toward the generation of internal hierarchies, inevitably so in the case of networks that persist across node generations. Moreover, networks are inherently complex and interconnected; no network stands alone, and all networks contains within them other networks. 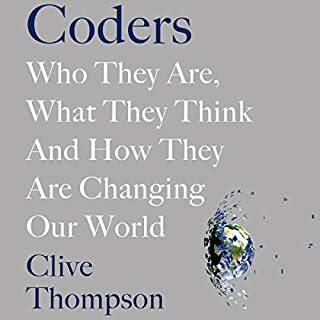 The various node weightings he alludes to throughout the book spell it out for him, but he never realises it; the differential node weightings create, in effect, a de-facto hierarchy within a network, even if it isn't formalised, and it does not have to be the only one. 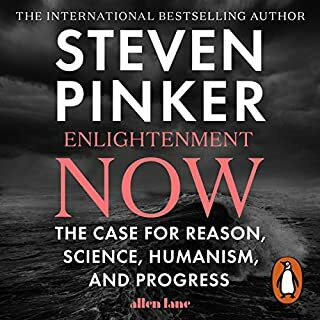 In the last third or so of the book, the author also furter undermines the legitimacy of both himself as a serious academic author and of the book itself by giving the narrative a very clear blind-partisan tone, repeating establishment-conservative talking points on several occasions and employing some very recognisable partisan language. 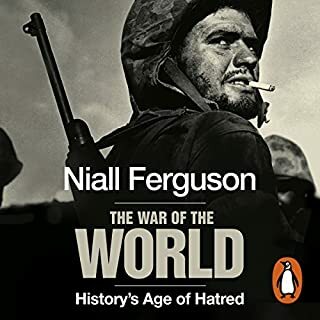 Basically, a good idea with a lot of potential and some fresh historical perspectives ruined by an author too reliant on and trusting in his own ideology and idea of a persistent cycle of conflict between two types of network. An intetesting analysis of diffuse phenomena of our age. Sadly, an over-arching conclusion evades the narrative - perhaps for the better. 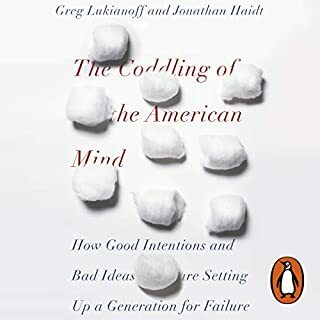 First and last chapters, and of course the effects of the printing press on the spread of ideas and behavior, are really worth while and deserve serious considération by anyone trying to understand our bewildering world. 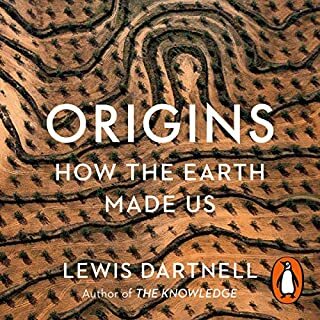 I often enjoy non fiction. this book strings a single idea that could be explained well in half an hour.